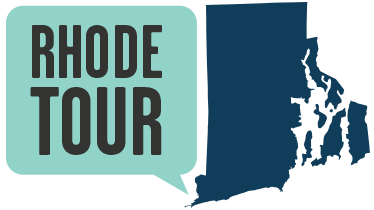 According to the online film and television resource IMDb, more than two-hundred feature films, forty television series, and thirty television movies have been filmed in Rhode Island. The Rhode Island Film and Television Office counts sixty-two projects since 2005 alone. These numbers do not include film projects that include Rhode Island in its storyline like Reversal of Fortune (1990), and other projects that are not “filmed” like the animated television series Family Guy. Why is Rhode Island so popular with filmmakers? Rhode Island is “The Ocean State.” Its miles of coastline with beaches, rocky shores, and secluded coves and inlets provide filmmakers like Wes Anderson, who shot Moonrise Kingdom in Jamestown in 2012, with settings that match their vision for their films. Rhode Island contains a vast collection of well-preserved historic architecture, from colonial buildings like the Newport Colony House used in Amistad (1997), to Gilded Age mansions like Marble House, where filming for 27 Dresses (2008) took place. Newport, famous for its Gilded Age allure, helps filmmakers to establish the wealth and glamour of its stars, like Robert Redford in The Great Gatsby (1973) and Grace Kelly in High Society (1956). This tour was produced by the students in the 2016 Brown University course, "Shrine, House, or Home: Rethinking the House Museum Paradigm." The students were Lena Bohman, Sean Briody, Ryan Cruise, Chelsea Fernando, Marjory O'Toole, Ryan Paine, and Jeremy Wolin. The instructor was Ron Potvin. Susan Smulyan served as an advisor for this tour.